Even more deals are coming up for those living in Canada. 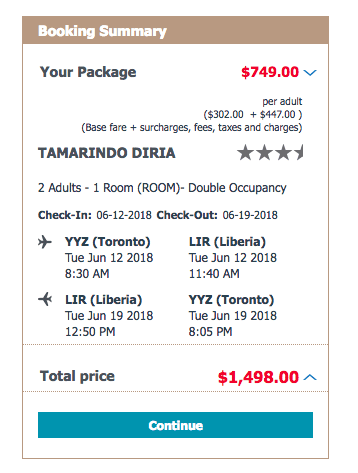 This deal is for travel from June 12, 2018 through June 19, 2108 and includes 7 nights at the Diria Hotel in Tamarindo, daily buffet breakfast, roundtrip direct flights from Toronto into Liberia, and airport transfer to and from the hotel. All this for only $580 ($749 CAD)! If you can’t book this deal because it’s too soon, check out this other deal we published yesterday for travel a week after this one. You can book both deals at Air Canada Vacations.